Today, we're taking quick looks at a memoir and two contemporary romances. 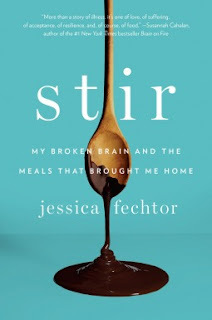 I grabbed Stir because I've been going through a cookbook phase. I love cookbooks, looking at them, reading the little stories that are sometimes included in them. Well, Stir is the reverse of that. It's Fechtor's memoir, recounting the period of time in her life when she was dealing with some serious medical emergencies, and finding her way back to a new normal with the inclusion of some recipes. I ended up finding the recipes very intrusive, and glossed past them, but the story itself is pretty compelling. Because this is real-life, there's no sweeping final scene to bring the whole story to a satisfying conclusion. Otherwise, I found Fechtor's story to be honest, emotional, and it made me wonder about how hard a recovery would be without that same support system of friends and family. 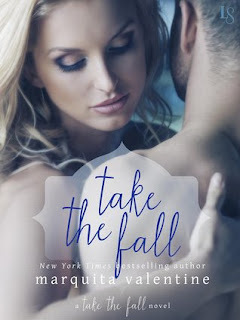 I loved Take the Fall. I enjoyed the baggage between the main characters (the set-up for this second chance at romance story was heartbreaking), and the tension that it caused. I loved that they were both helpless to resist their own chemistry. I also really liked that there was no hand-waving away all the hurt feelings. It would have been easy to wash everything away but instead, Take the Fall forces both characters to address their past, and work through everything before they can really come together. I read a couple of these contemporary romance, fake girlfriend books at the same time, and I think The Engagement Game was the best of the bunch. I liked that it was effortlessly diverse. I loved that Rose had such a good humour about it all, and that she was willing to up the game, as it were. She and Marcus really go the extra mile for their ruse, and I was entertained the whole time. Usually these fake relationship books have two people who are already intimately involved (whether in a close working relationship or best friends) together, so I really like the twist that Marcus and Rose don't actually know each other until Marcus springs his plan on her. It made for some entertaining moments! The best part of the story is that it is so upbeat, from start to finish. A lot of that is down to Rose's attitude; she's definitely the kind of character I'd like to meet in person!